Have been helping customers with Human resource consulting as a functional consultant for 11+ years now. Certified in Compensation management and worked on this project as a Compensation lead. Have experience working on compensation both in SAP on-premise and Successfactors cloud world. 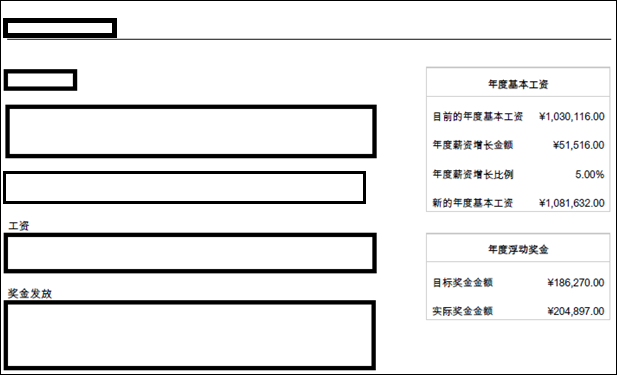 Delivered compensation statement in multiple languages with customization in a short time frame. As part of the process, did a lot of R&D and spent long hours. Wanted to write a blog on the learning/challenges faced and how those challenges were overcome so it helps others in the same predicament. 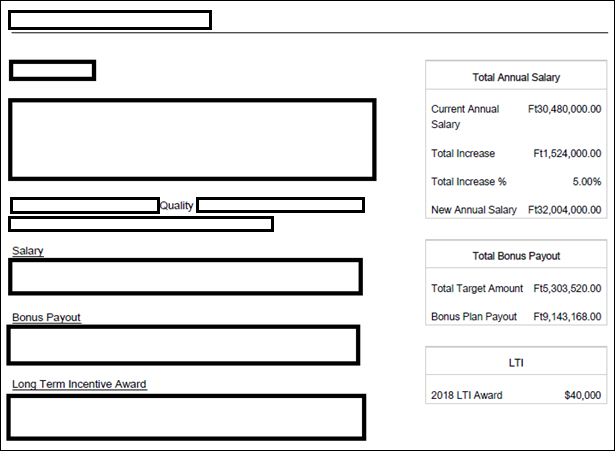 Variable pay templates – Leadership and Executive had different bonus calculation formulas. 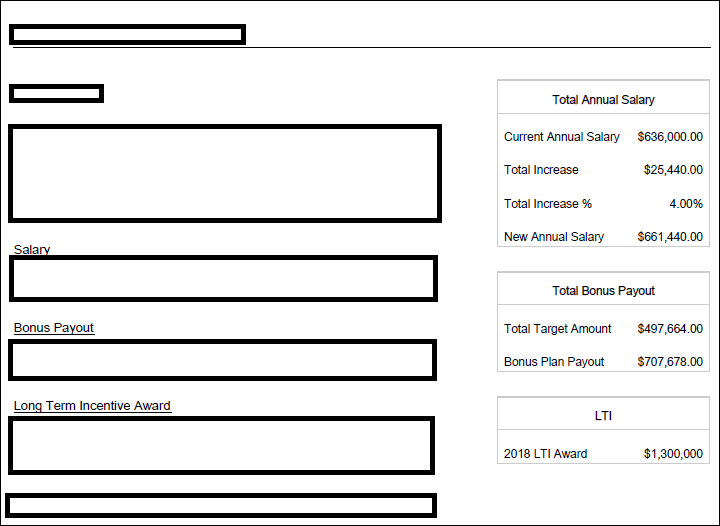 Compensation Templates – Merit and LTI had different hierarchy. Merit had standard hierarchy whereas LTI had roll-up hierarchy. All the 4 templates are launched at the same time, around beginning of November and closed at the same time, around February first week. -There were employees with different combination of eligibility – Merit, Merit & Leadership, Merit & Executive, Only Bonus (either leadership or executive). 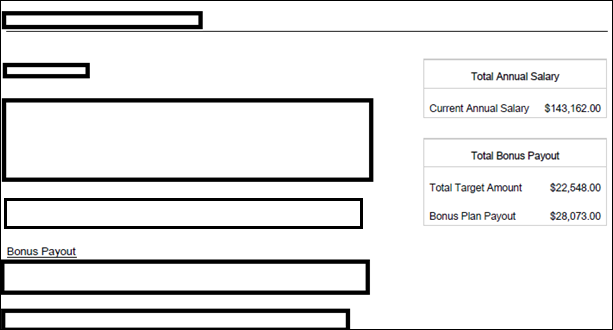 Create a compensation statement with data from all the four templates. -Long Term incentive (LTI) had to be in USD. So, for an employee who was in Hungary and was eligible for LTI, compensation statement had to be in multiple currencies. -Statement had to be configured in more than one language. -Performance rating text had to be included in the text on the left-hand side. Aim was to meet all the requirements via standard statements template. Making it custom meant losing the ability to edit statements from user interface which was getting extremely difficult to make changes and test those changes. For next year compensation cycle, wanted HRIT admin to not lose the ability to make changes on their own. So, had to carefully cross the ocean! Adding logo: A ticket needs to be raised with SAP support team with the logo. They will upload the logo in their database and provide the URL which can be used in the statement. Values on the right-side of the statement can be added to the text section and that can be done by exporting the comp statement and identifying the exact technical name of the field. Example: Performance rating can be moved to the left by adding [[$customField54–81]] on the text side, value maintained in the field will dynamically populate the statement. Word of caution: When moving numeric values from right side to the left (text side) only values would show up dynamically and not the currency symbol. Examples of this configuration can be seen in the statements below. There is an extremely simple way to edit the statement from user interface without making it custom. Text can be edited for each of the sections and fields by clicking on the ‘pencil’ icon. Initial thought was to export the template and edit it using xsl editor but that did not seem to work, and testing was getting very tedious! Tip: Always configure other languages once English has been finalized by copying English version, this will save a lot of time in having to maintain 2 statements in sync. LTI (long term incentive) award was given only in USD. Hence for employees in countries other than US, statement should show multiple currencies which meant merit, bonus data in local currency and LTI data in USD. This was achieved by leveraging an existing custom ‘text field’. Look up tables were utilized, and this custom field was loaded with LTI values with a ‘$’ sign. For Example: $15,000. Worksheets were updated to reflect the loaded value and statements were generated. The most important thing to keep in mind when creating Compensation statement is the exercise of creating Compensation statement needs to be undertaken before the worksheets are launched. In compensation implementations where statements are taken up after compensation worksheets have been launched, it can get quite challenging to work around as fields cannot be added/edited after compensation worksheets have been launched. Conclusion: We looked at how to handle some of the typical requirements that could come up while implementing compensation statements. As they say, all is well that ends well! we were successfully able to meet all the client requirements and wanted to share this learning here. Hi Sanjay – Thank you! Thank you! Can you create more than one statement per template? You are welcome! Only one statement per template is allowed.